For a young Italian immigrant named Girolamo Guerrisi, it would only take two years of working modest jobs in America before finding his footing. In 1914, Guerrisi took over the Keystone Macaroni Company, a one-man operation in Lebanon, Pennsylvania, from an elderly macaroni maker anxious to retire and transformed it into one of the most recognizable names in pasta, San Giorgio®. By 1950, the little company that started out producing 100 pounds of pasta per day was turning out 400,000 pounds per week. By that time, Girolamo's five sons had taken over the business. Two successful macaroni manufacturers would merge with San Giorgio®, Delmonico of Louisville, Kentucky and Ideal of Cleveland, Ohio. 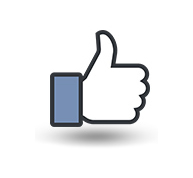 San Giorgio® products are now distributed in New York, New Jersey, Pennsylvania, Maryland, Delaware and parts of Illinois, Kentucky, Tennessee, Indiana, Virginia, and Ohio, but are most popular in the metropolitan areas of New York City, Philadelphia, Washington, DC, Harrisburg and Pittsburgh. 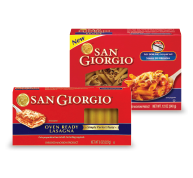 San Giorgio® is part of the Riviana Foods Inc. portfolio of pasta and rice brands. With pasta meal solutions for every taste and diet, we have something for your whole family. Enjoy the adventure and get creative! In addition to classic white pasta, we also produce: gluten-free pasta, organic pasta, whole wheat pasta, noodles, high fiber pasta, veggie pasta, ancient grains pasta and reduced calorie pasta. Our principal pasta brands include: American Beauty®, Creamette®, Light 'n Fluffy®, Mrs. Weiss®, No Yolks®, Prince®, Ronzoni®, Skinner® and Wacky Mac®.